CAR enthusiast Oliver Ross was in the driving seat when he celebrated his barmitzvah at the Higher Prestwich Hebrew Congregation. Oliver, the son of Arlene Ross, of Whitefield, loves cars and bikes and is also a big fan of the BBC television programme Top Gear. 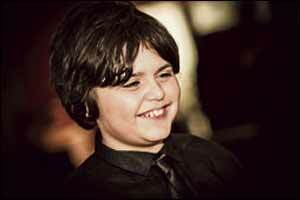 Bury Grammar School for Boys' pupil Oliver was joined at his barmitzvah by grandfather Allan Ross, of Cheadle.